A gem by the shores of Lake Hjälmaren! 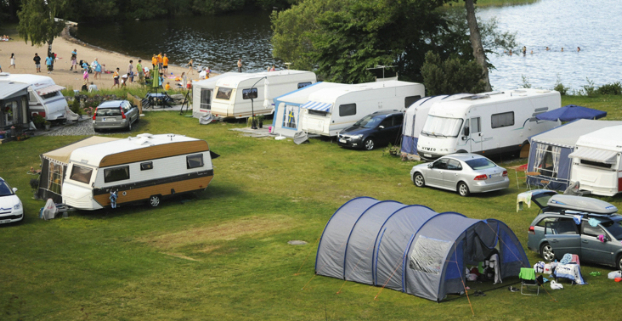 Here you will find a well-run and comfortable campsite offering good service according to our many returning guests. Welcome! Lots of activities for the whole family. 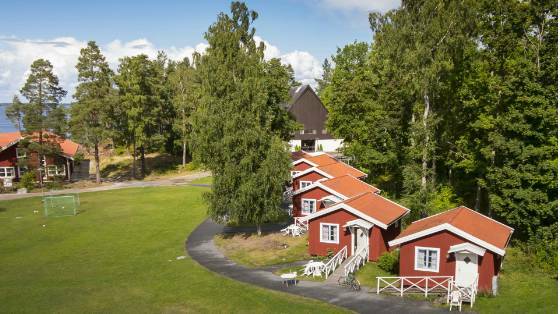 Two beaches with shallow swimming, mini golf, boats, several playgrounds, Wendy house, sauna, large green open spaces and free fishing in Lake Hjälmaren. In summer we also organise several events such as a large midsummer celebration, flea markets, quiz walks, concerts and sing along evenings. Take the opportunity to enjoy good food in our restaurant and our summer café. Our café offers a large selection of ice creams, freshly baked goods and today’s lunch special. We offer several types of accommodation with varying levels of standard and different price classes. A total of more than 220 beds. We can also accommodate group events and conferences. 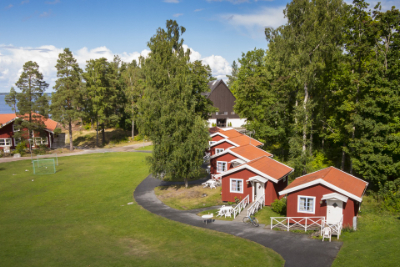 Hjälmargården & Läppe Camping is close to many sights such as the Julita Manor open-air museum, the island of Vinön, Kolmården Wild Animal Park in Norrköping, Eskilstuna Zoo, Vingåker Factory Outlet, Vingåker golf course and Vingåker indoor swimming pool. 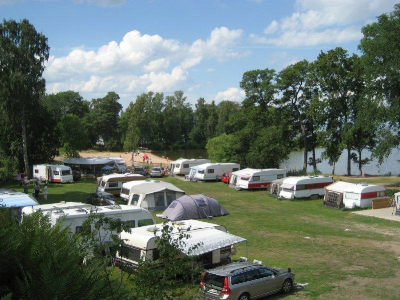 As of 2014 Läppe camping is under management of Hjälmargården. The new name is Hjälmargården & Läppe camping. Our newly refurbished rooms in Längan have a private entrance as well as a shower and WC. There is a communal kitchen for those staying in the building. 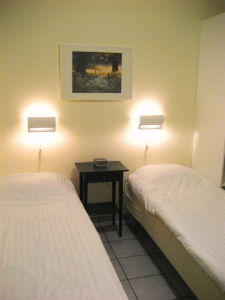 Rent as a single room, double room or room with multiple beds. The room with multiple beds has bunk beds along with "regular" beds. Optional: final cleaning and bed linens. For rent year-round. Our pleasant cottages are equipped with showers, WCs and kitchenettes. There are a total of 52+4 beds divided among 9 cottages. Six of the cottages have 3+2 beds. In the cottages there are WCs, showers, TV and kitchenettes with micros, fridges, coffeemakers. Three of our cottages have 7 beds divided between two rooms, WCs, showers, kitchenettes. We also offer "friggebods". These are small cottages with four beds. Access to WCs/showers and kitchens in separate building. For people seeking basic and inexpensive lodging.